The Southern Oregon volleyball team ensured that it remained at the top of the Cascade Conference standings by recording yet another perfect three set sweep this Saturday over Warner Pacific. The Raiders are now 12-1 in Cascade Conference play and 15-3 overall while Warner Pacific holds a conference record of 2-10 and 4-14 overall. After recording a three set sweep over Concordia the night before, confidence of another strong performance by Southern Oregon was high and the Raiders duly delivered with three set wins of 25-18, 25-13 and 25-17. Outside hitter Sarah Holgen led the way for the Raiders on offense with a match-high 12 kills, while teammates Leanne Stennett and Megan Bartling were just behind with 11 and 10 kills, respectively. Setter Lindsey Stone contributed 38 assists to Southern Oregon’s offense. 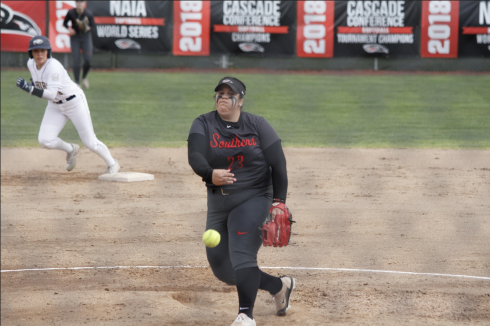 The Raiders offensive tenacity stunned their opponents as Warner Pacific simply had no answer all night to Southern Oregonâ€™s relentless attacks. On defense, the Raiders were just as formidable as they were on offense. 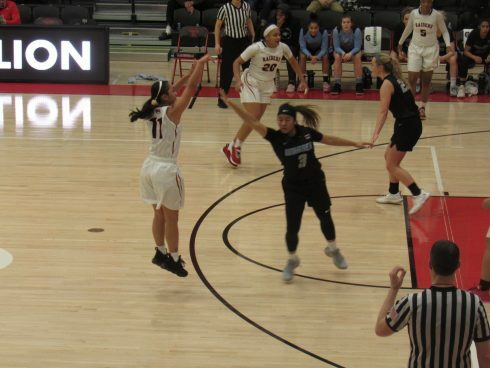 Southern Oregon recorded a total of 20 blocks with Bartling, Stennett and Lauren Swetland all coming up big for the Raiders. Bartling led the way with six blocks while Stennett and Swetland each had four.Â Stennett also was the team leader in digs recording 14 while Libero Becky Johnstone finished second with 10. Southern Oregonâ€™s dominating defensive display effectively annihilated Warner Pacificâ€™s offense as they recorded a meager .086 attack percentage for the night. Overwhelmed, Warner Pacific stood very little chance against an extremely motivated Southern Oregon. The Raiders are at the top of the conference standings courtesy of having dropped less sets than the College of Idaho. With only five games left in Conference play, dropping just one set could prove to be the difference between bringing home a title or settling for second place. Southern Oregon has currently only dropped six sets all season while rival College of Idaho has dropped eight sets.